Death with Interruptions totally flew under my radar! Thank you so much for the recommendation. I'll definitely add it to my TBR. I also loved Blindness and can't wait to read another one of his books. 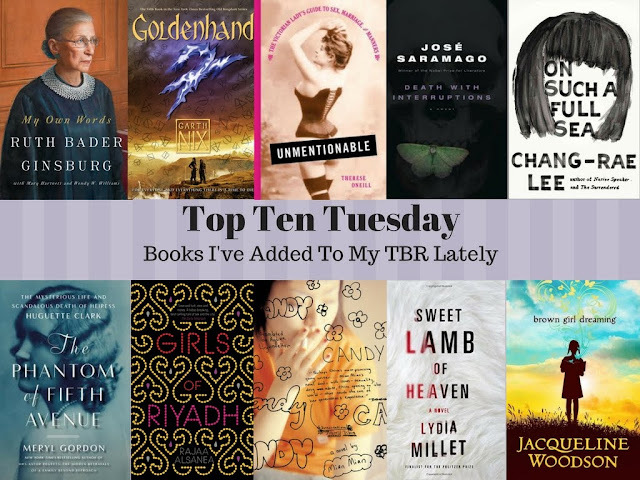 I saw it in someone else's top ten tuesday recently and was so intrigued I added it to mine! Girls of Riyadh looks good. I loved Underground Girls of Kabul last year and this seems like a natural follow-up. I hadn't heard of Underground Girls of Kabul before! What's one more new one in a TBR already several hundred deep?